Remembering Brian Keith Blanks | Remembering Brian Keith Blanks | De Soto Obituary Search | Dietrich-Mothershead Funeral Home, Inc. Remembering Brian Keith Blanks | De Soto Obituary Search | Dietrich-Mothershead Funeral Home, Inc.
Brian Keith Blanks was born on April 18, 1959 in De Soto, MO. He was the son of Albert “Al” & Dorothy (nee Carter ) Blanks. 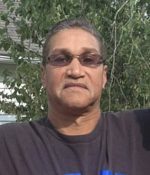 He died on April 14, 2019 at Mercy Hospital Jefferson in Festus, MO the age of 59. He is survived by his wife, Wilma Elaine (nee Walton) Blanks of De Soto, MO; daughters, Natasha (Kerry) Dickinson of New York, NY and Jasmine Blanks of St. Louis, MO; siblings, David (Carolyn) Blanks of Festus, MO; Raymond (Helen) Blanks of Potosi, MO; Diana (Gregory) Nance of Dayton, OH; Donna (the late John) Fluker of Florissant, MO; 2 sisters-in-law, Cassandra Blanks of Herculaneum, MO; and Iris Blanks of University City, MO; and one grandson, Kaiden Dickinson. 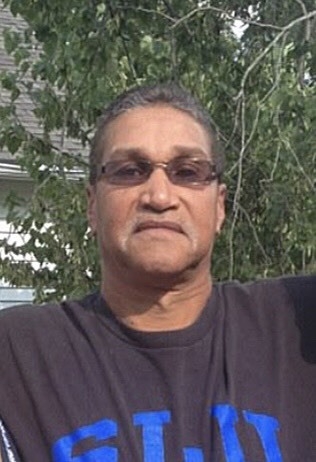 He is preceded in death by his parents; and two brothers James Blanks and Curtis Blanks, Sr.
Brian was a forklift operator for Baldor Electric.